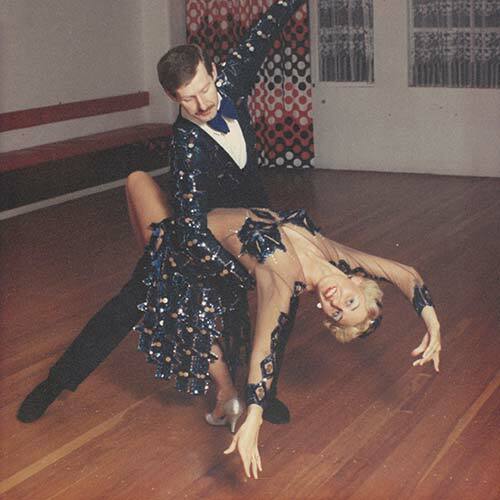 Hugh & Sonia are specialists in the field of Ballroom, Latin American, New Vogue and Rock & Roll Dancing being 9 times undefeated New Zealand Amateur & Professional Ballroom and Latin American Dance Champions. 5 years in a row won the NZ Professional Ballroom Dancing titles. These titles qualified us to represent New Zealand at the World Amateur Ballroom Dancing Championships in Germany where we were placed 18th out of 36 different countries, and at the World Professional Ballroom Dancing Championships in Japan respectively. During our competitive years we represented NZ in Australia & Hong Kong together with numerous demonstrations around NZ which included a demonstration of New Vogue dancing on the TV programme ‘Top Dance’. We are Members and hold Fellow qualifications with the New Zealand Federation of Dance Teachers Inc.
Talk to us today about enrolling into one of our dance classes! At Supreme Dance Centre we endeavour to provide a relaxed, friendly environment, with an emphasis on making dance easy. Copyright © 2015 Supreme Dance Centre. Developed and hosted by F6 Digital Media & Marketing.